Mapping Space, Sense and Movement in Florence is accompanied by the DECIMA WebGIS portal. The DECIMA WebGIS allows users to investigate the social, economic and physical landscapes of Ducal Florence. For more information, please visit the DECIMA webpage. 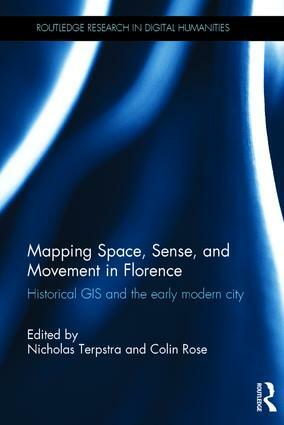 Chapter Ten describes the innovative smartphone App Hidden Florence. For more information on Hidden Florence and to download it for iPhone/iPad or Android, please visit http://hiddenflorence.org/.